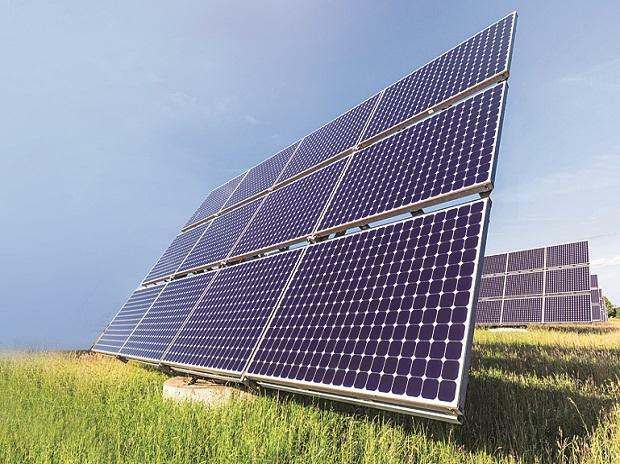 The introduction of Goods & Services Tax (GST) has thrown a spanner in India's clean energy transition, implicitly favouring coal-fired power over solar photo voltaic (PV) generation and incentivising greater take up of coal based sources, a study shows. The study commissioned by Canada based International Institute for Sustainable Development (IISD) and Council on Energy, Environment & Water (CEEW) says post the roll out of GST, the levelized cost of energy (LCOE) for existing coal-based thermal power stations has fallen by one or two per cent, depending on the share of imported coal used. On the contrary, LCOE for solar PV has risen six per cent. This does not take into account the cost of uncertainty for solar PV developers, who have not known how their projects would be treated under the new taxation system until the recent clarification in December 2018 by the GST Council. The LCOE computation for coal-fired thermal power was done assuming a typical 500 Mw capacity. A significant proportion of such plants between 2003 and 2016 are 500 Mw in size, influenced by both fixed and variable costs. Overall, the variable LCOE of a coal thermal power plan, assuming that it uses only domestic coal decreased by almost 1.6 per cent post-GST reform. Plants using a mix of domestic and imported coal would see a smaller decrease of one per cent, largely due to the influence of higher taxes on imported coal. The LCOE is a metric that permits comparison of the costs of electricity generation across various generation sources. It represents costs on a per kWh basis accounting for the total lifetime of a project. The costs of any project consist of two components—fixed costs and variable costs. There is no fuel cost for solar PV, and other variable costs, such as operations and maintenance, are small. As a result, the LCOE for solar PV generation is driven almost entirely by the estimated capital cost. On the other hand, the LCOE for coal thermal power is sensitive to both the variable cost of fuel and the capital investment required. While the total tax subsidies for both solar PV and coal-fired thermal power have been slashed, the absolute size of the subsidy to coal power exceeds that of solar. The absolute size of the subsidy to coal-based power generation remains Rs 7685 crore higher than solar PV in FY2018. “India has reformed a number of subsidies for petroleum products since 2014. Over the same time period, government support for renewable energy has increased significantly but the scale of subsidies for coal has remained largely unchanged”, the study noted. The study foresees GST is likely to lead to a significant increase in the cost of generation for new solar PV plants. In contrast, existing coal-fired thermal power plants are likely to experience reduced variable costs under the GST.